ST. GEORGE, UTAH—Clyde Companies, based in Orem, Utah, Blue Diamond Capital, based in Provo, Utah, and Merrill Trust Group, based in Atlanta, Ga., showcased their plans for a new master-planned community in St. George, Utah at the St. George Area Economic Development Summit. The new development, named Desert Color, will be a 3,350-acre community based on unique designs of connectivity, community and sustainability, and will be located on SITLA land—east of Interstate 15 and along Southern Parkway. To bring the Desert Color vision to life, Clyde Companies, Blue Diamond Capital and Merrill Trust Group have partnered to form the master development team. With over 140 years of combined experience and successes in their respective industry, the Desert Color partners bring different strengths and are committed to utilizing their best resources, talent and expertise to develop Desert Color and to create one of the nation’s premier master-planned communities. 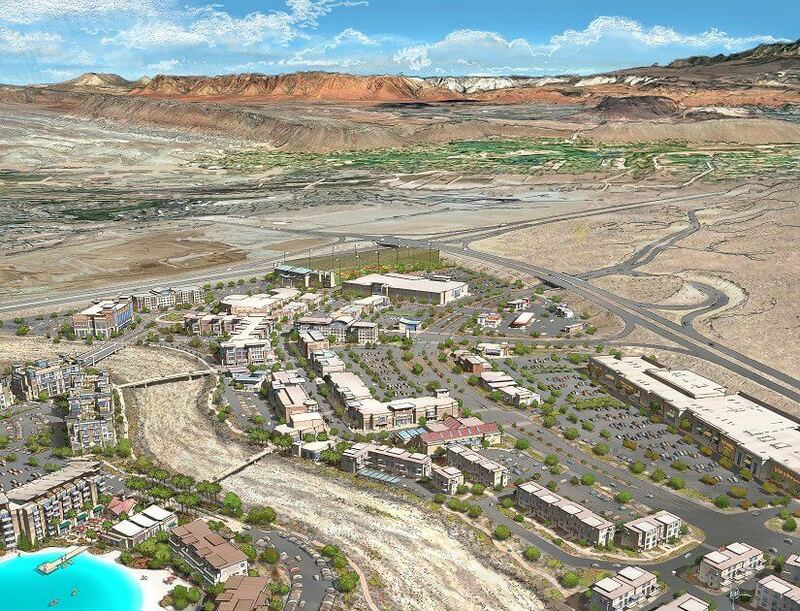 Desert Color will be among the largest ever master-planned developments in Utah. It will be divided into four main land-use districts: mixed-use commercial district, recreation, resort and residential. Desert Color’s setting creates a unique opportunity to blend the natural features of the desert foothills with tried and true community design principles. It emphasizes social connections, open space, recreational diversity, walkable neighborhoods, convenient regional commercial and retail services and hospitality, and will offer a variety of home types, styles and products to meet the needs of the community. As part of the plan, Desert Color will feature nearly 210 acres of developed parks and trails, circulated throughout the community. Trail systems, parks and nature preserves will provide opportunities for residents, visitors and activity seekers to feel a deeper connection to the community and the land. “We’ve been working closely with the Desert Color development team for many months now and we look forward to continuing our collaboration,” said St. George Mayor Jon Pike. Local approvals, private partnerships/sponsorships, homebuilders, groundbreakings and other key development milestones will be announced as the project progresses. Merrill Trust Group is a privately held collection of companies and trusts based in Atlanta, Ga., which is principally involved in real estate investing and development. Its highly dedicated, educated, and experienced staff have over 45 years of experience in managing the acquisition, entitlement, and development of land and resorts. Merrill Trust Group has an extensive portfolio of fully entitled master-planned communities in metropolitan Phoenix and Atlanta, as well as a number of premier resorts in the southeastern United States.